At the time, I truly thought I was being family centered. After all, I had gathered the team in a roughly elliptical formation around the family and was directing my words in their general direction. In addition, I was sharing with the team what the family had me told only an hour earlier when I met with them alone during pre-rounds. However, in reality, I was speaking “at” rather than with the family. I was using medical jargon that they (and often I) did not really understand. I was not truly involving them until the end, and then only fleetingly so. Essentially, I was performing for my colleagues in front of the family. It was not until years later, when I was a pediatric hospital medicine and health services research fellow with a research interest in family centered care, that I realized how flawed my model of family centered care was. Well into my fellowship research project to improve nighttime communication between families and providers, I presented the project to our hospital’s Family Advisory Committee. I had made several efforts to enlist family partners in the project early on; that is, I had met with them once and shared my survey instruments with them for feedback. However, I had not truly developed the intervention with them. When I described the intervention to the rest of the Family Advisory Council, they told me, “Well you are basically talking at us and only involving us in the end. That’s not really very family centered.” Their words were a wakeup call for me. In my role as project leader, I have had the privilege of learning from these collaborators and applying these lessons to my clinical practice and research. I have come to realize that the existing models are not enough. In the US, family centered rounds are increasingly common, at least in pediatrics. However, the quality of family centered rounds is unknown and there is great variation between providers, units, and hospitals. I have learned that what I thought was family centered in medical school, residency, and even fellowship, was not really so family centered after all. And I have learned that this is true in both clinical practice and research. Families never cease to impress me with their insights, both on the wards (for instance when it comes to recognizing errors) and in research (for instance, when they point out that all families may not understand the term “safety” in the same manner). [7,8] Now, when I design a study, I ensure that families are involved from the start and throughout, not merely after I have finished designing a study instrument. On rounds, I ensure that the family’s voice is heard first and last, and in their own words. 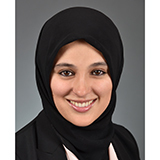 Alisa Khan is a pediatric hospitalist and health services researcher at Boston Children’s Hospital and an instructor of Pediatrics at Harvard Medical School. Her research focuses on family engagement in hospital communication and safety. 1 Khan A, Baird J, Rogers J et al. Parent and provider experience and shared understanding after a family-centered nighttime communication intervention. Acad Pediatr 2017; 17: 389–402. 2 Khan A, Spector N, Baird J et al. Patient safety after implementation of a coproduced family centered communication programme: multicenter before and after intervention study. BMJ 2018; 363: k4764. 3 Mittal VS, Sigrest T, Ottolini MC et al. Family-Centered Rounds on Pediatric Wards: A PRIS Network Survey of US and Canadian Hospitalist. Pediatrics 2010; 126: 37-43. 4 Agency for Healthcare Research and Quality. Health Literacy Universal Precautions Toolkit, 2nd Edition. U.S. Dept. of Health and Human Services: Rockville, MD, 2015http://www.ahrq.gov (accessed 3 Dec2018). 5 The Joint Commission. ‘What Did the Doctor Say?’ Improving Health Literacy to Protect Patient Safety. The Joint Commission: Oakbrook Terrace, IL, 2007 https://www.jointcommission.org/assets/1/18/improving_health_literacy.pdf (accessed 3 Dec 2018). 6 Batalden M, Batalden P, Margolis P et al. Coproduction of healthcare service. BMJ Qual Saf 2016; 25: 509–517. 7 Khan A, Furtak SL, Melvin P, Rogers JE, Schuster MA, Landrigan CP. Parent-reported errors and adverse events in hospitalized children. JAMA Pediatr 2016; 170: e154608. 8 Khan A, Coffey M, Litterer KP et al. Families as partners in hospital error and adverse event surveillance. JAMA Pediatr 2017; 171: 372–381.